All plans appear to start with a 31 day free trial. Just need your name, email and create password to start. Fetcher is like QuickBooks for your Amazon store. They “fetch, calculate & display your seller data” so “you see exactly how much money you’re making on Amazon.” I can’t even imagine how much time this will save you from having to copy your sales over to some other accounting software. And all of this comes in a well designed, easy to use dashboard with graphs and charts to help you visualize your data. 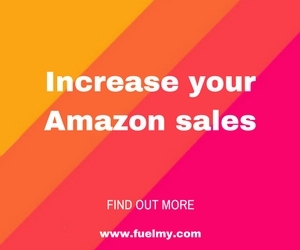 Get daily snapshots of overall sales, your expenses (as well as Pay Per Click spending, Amazon fees, shipping costs and more), and profitability. And, from experience, this part is truly amazing: they help create a Profit & Loss Statement for you! If you haven’t had to create a P&L before by hand, know that they can be very tedious to do, and take up a LOT of your time. This is a huge timesaver. Their first tier plan can handle up to 2,500 order a month—a good size for many Amazon Sellers. The next tier is up to 5,000 orders per month, and huge stores can sign up for their top tier which handles up to 15,000 orders per month. Your tier is determined at time of sign up by your sales from the previous 31 days.